All Time Low are out with the music video for their new single ‘Time-Bomb’, from the Baltimore, Maryland pop punk group’s fourth album ‘Dirty Work’, out now on Interscope. 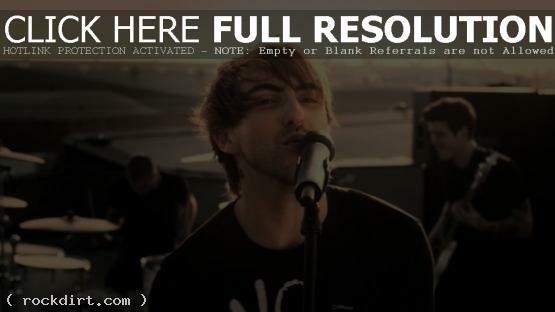 Directed by K. Asher Levin, the theme of the video is not the usual All Time Low video fans would know and expect. The action packed video features the band performing on a Los Angeles roof while a SWAT team tries to stop a guy from saving his girlfriend using an artificial heart he created. The girlfriend is played by actor, Malese Jow, from ‘Vampire Diaries’. Watch and see what happens to the couple as they attempt to make their escape via YouTube below.